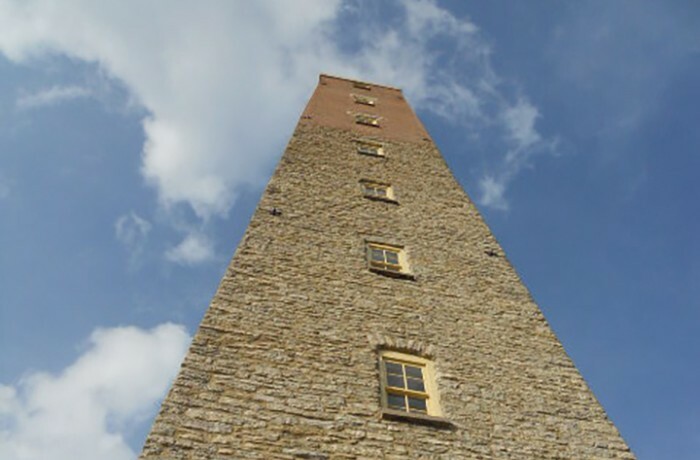 The Dubuque Shot Tower is one of the few remaining structures constructed to mill lead shot. It was constructed in 1856 along the banks of the Mississippi River to take advantage of its location near the lead mining areas in nearby Illinois and Wisconsin, and was operated as a shot tower until 1859. The structure itself is a 120-foot high masonry construction with a stone base. HPZS was retained by the City of Dubuque to investigate the tower and develop a phased plan for its repair and restoration. As part of the Dubuque Riverfront Renewal project, the tower is preserved as a Dubuque icon and a visual focal point, as well as an observation platform.